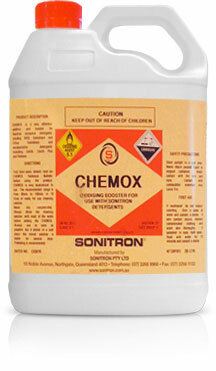 Oxidizing Booster for use with Sonitron Detergents. 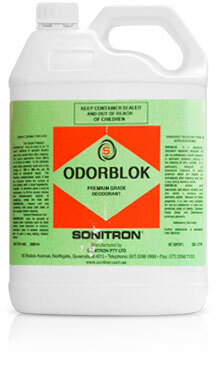 Sonitron Odorblok is a high impact deodoriser designed for professional use in very dirty situations including abused and animal soiled carpets. 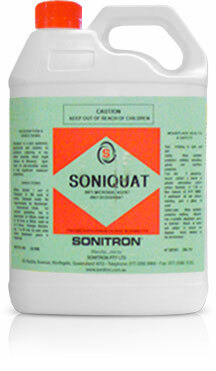 Sonitron Soniquat is a highly concentrated Quaternary Ammonium compound commercial grade disinfectant . 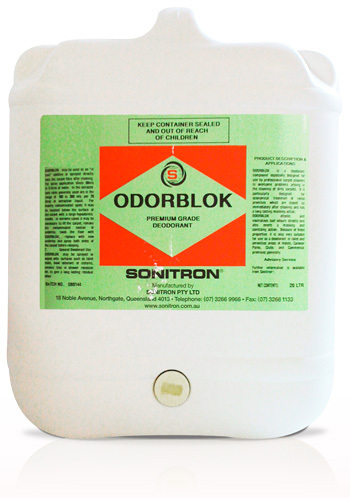 It is unperfumed and its single purpose is to serve as an antimicrobial varying in its scope from bacteriostat to full commercial grade disinfection depending on the application. 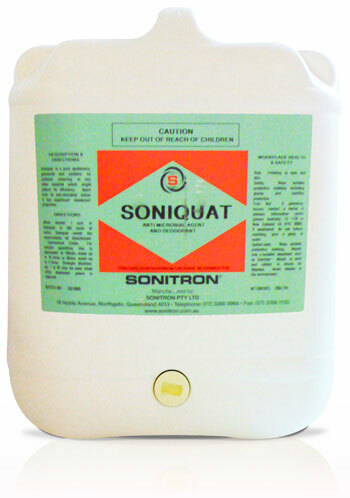 Sonitron Sonizymes is a liquid enzyme product to digest water soluble proteins such as blood into water soluble substances for easy extraction. 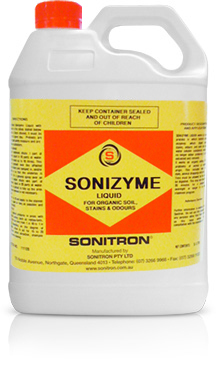 Sonizyme is ideal for many food stains and products of animal origin such as egg, gravy, perspiration etc. 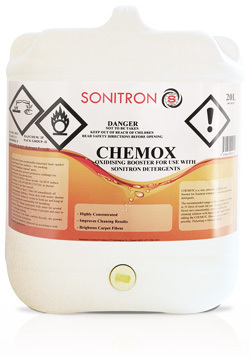 Sonizyme is also very useful in some odour removal programs. 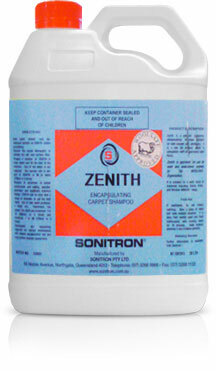 Zenith is a polymer containing encapsulating shampoo suitable for carpets and upholstery. 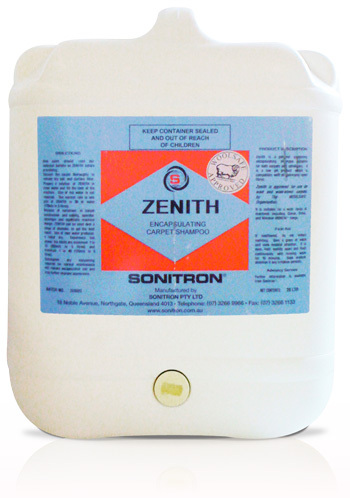 It is low pH and is compatible with all commonly used fibres. It has the stringent Woolsafe Testing Programme and has Woolsafe Certification Approval for use on Wool and Woolrich carpets. Breaks down up to 40 in 1, and offers excellent value for moneyWoolsafe approved.